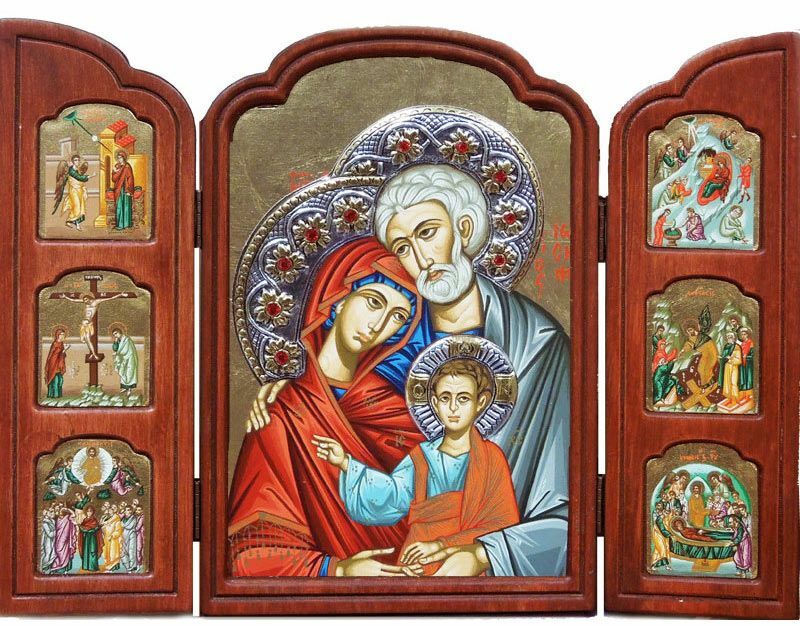 The Holy Family, Serigraph Orthodox Triptych with Festal icons. Coated with silver and Swarovski crystals . Size: 10 1/2" x 7, Width when open: 14"
Comes with the certificate of its authenticity. The Holy Family, Serigraph Icon in Silver / Gold Plated Riza, 15"